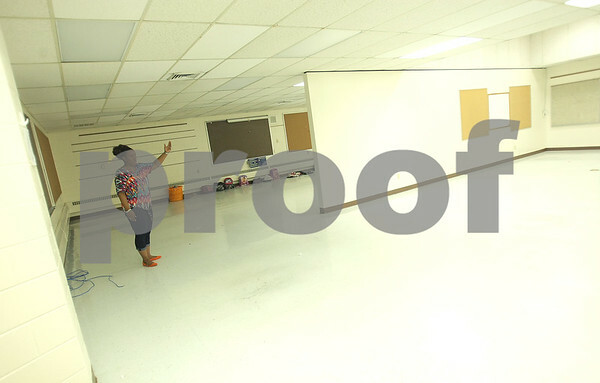 Tyler Elementary School Principal Andria Mitchell stands on the divide between a second grade classroom and the space for kindergarten on the last day of school, Friday, June 13, 2014. The building, built in 1969, was designed as an open-concept school with no doors. Mitchell explained that most teachers placed filing cabinets to section off their classrooms and it was difficult to stop sound in the building.